It's so easy to use, you'll wonder how you ever did without it! 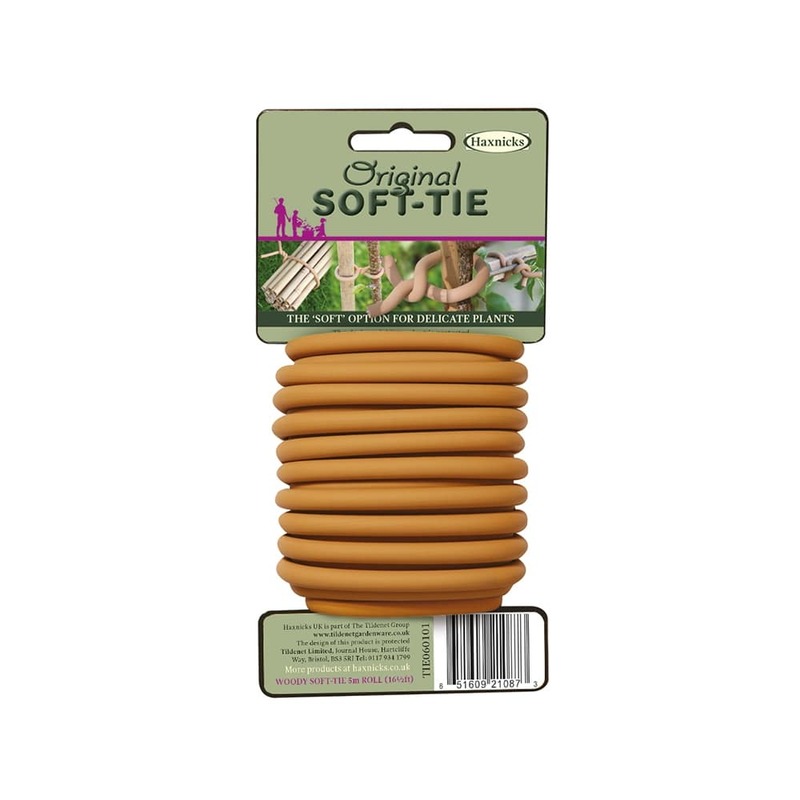 Woody Soft-Tie provides superior cushioning and strength and is perfect for tying up plants that are heavily-laden with growing crops. 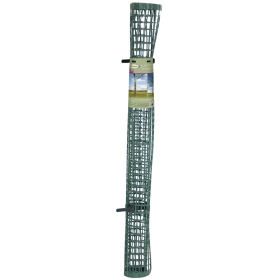 It's also a good choice for securing plants susceptible to wind damage. The inner core of galvanised steel wire gives it strength and the outer coating of UV-stabilised rubber compound gently cushions and protects plant stems. 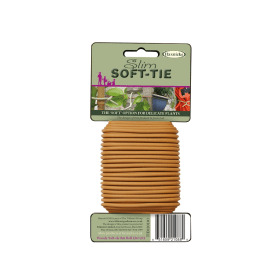 Soft-Tie is long-lasting, does not rot, and can be washed and re-used. 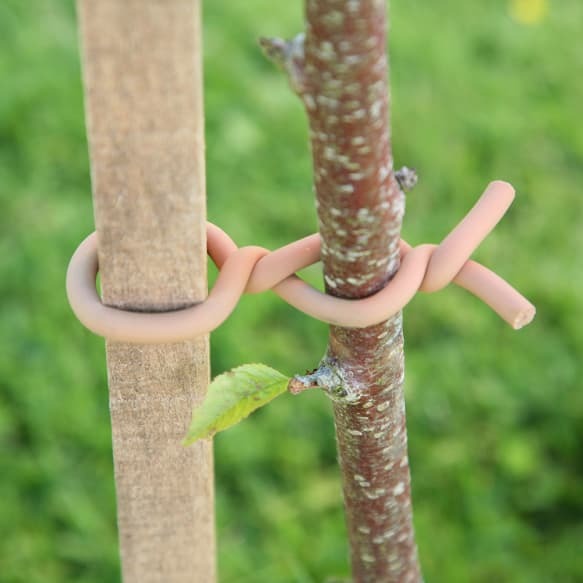 It's easy to secure with just a twist (no need for fiddly knots) and can be easily cut with pliers. 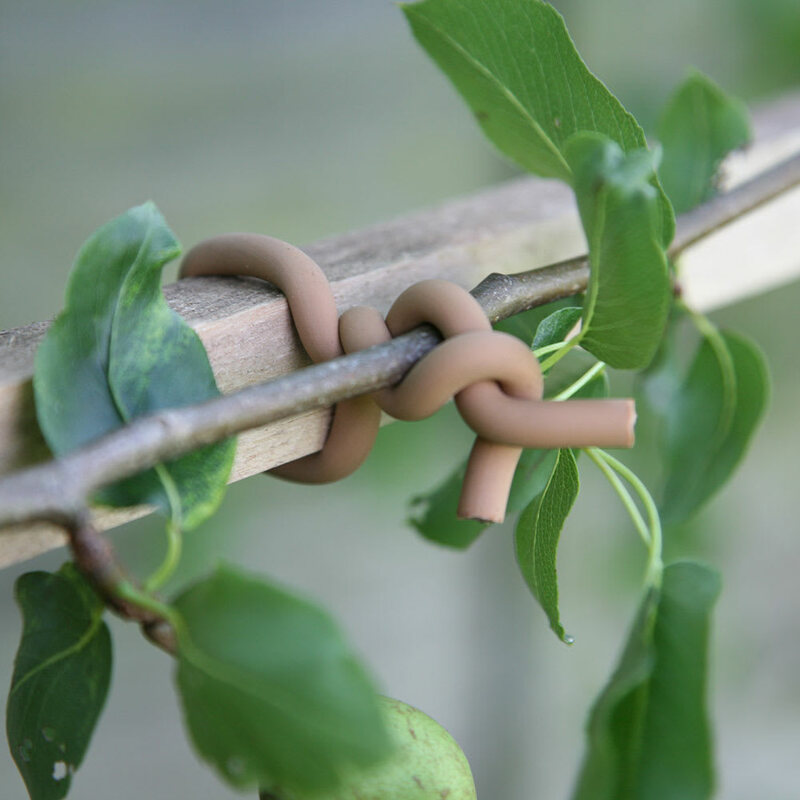 With a couple of quick twists, the tie may be quickly and easily adjusted to accommodate growing stems. 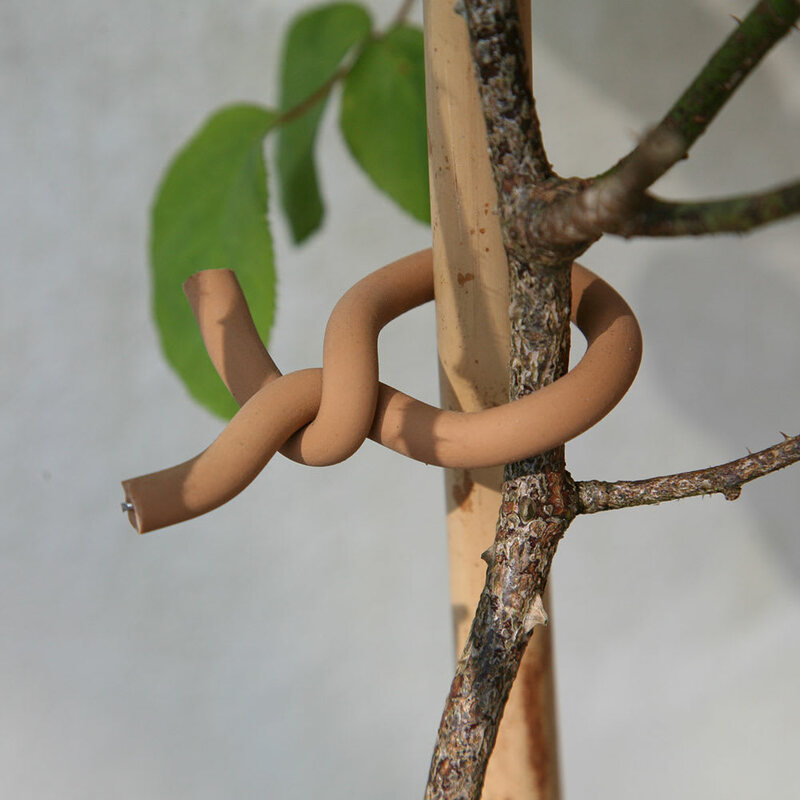 The Woody Soft-Tie will blend in with woody stems. 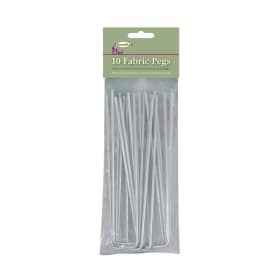 Available in handy 5m rolls. Helpful haxnicks hint: put a twist between the support and the stem and you have a ready-made spacer to prevent damage from chafing. The Potty gardener sorting with Soft-Tie and spiders!